Panalpina’s giant logistics now run from a brand new center constructed by GRDI encompassing 430,000 sq. ft. of which 400,000 are for operational space. The built-to-suit facility has been designed not only as per the company’s business needs but as those of their customers too. 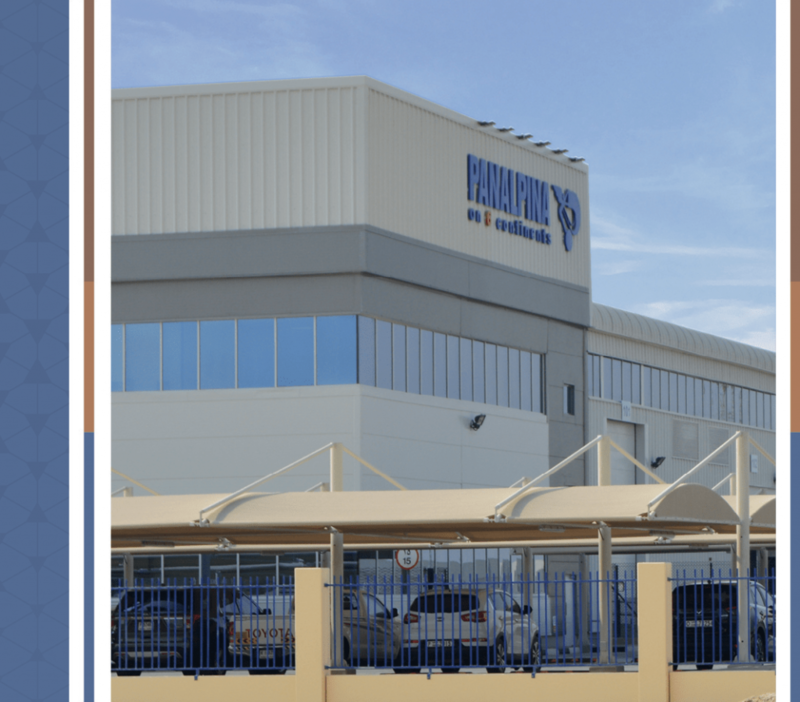 The location has been strategically chosen to be in proximity to Dubai World Central Airport, expected to become the world’s biggest airport, enabling Panalpina to grow its logistics and freight forwarding business in the MENA region. Moreover, the new logistics center gives three times more room than the previous one. It features state-of-the-art infrastructure allowing the performance logistics manufacturing as well as diagnostic and repair work. All goods can be kept and handled indoors in fully air-conditioned chambers where temperatures and humidity levels can be monitored round-the-clock. 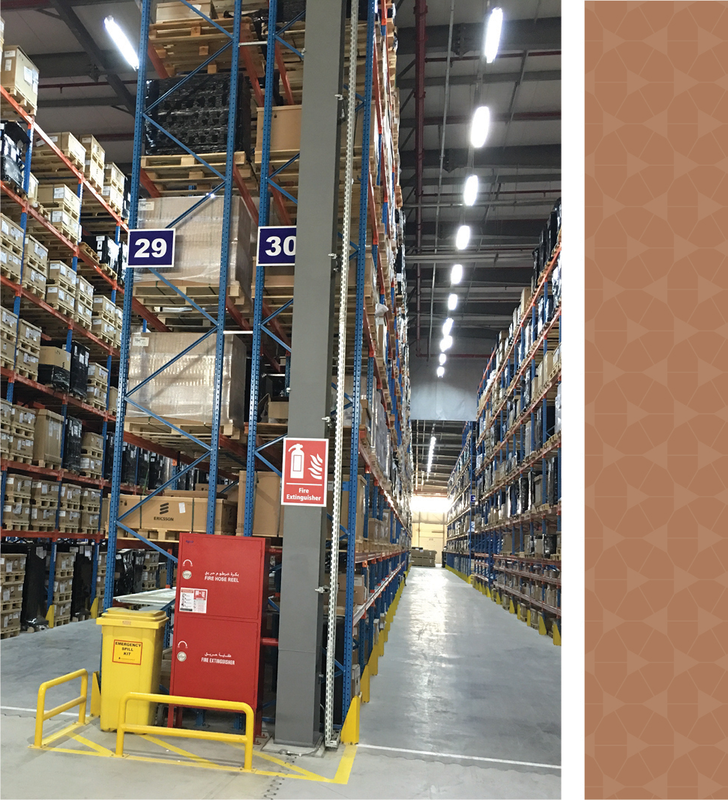 This makes Panalpina one of the very few large logistics facilities in Dubai to offer storage in a temperature-controlled space. A yard area of 40,000 sq. ft. was also purposely included for items that are unaffected by extreme weather. The location has been strategically chosen to be in proximity to Dubai World Central Airport, expected to become the world’s biggest airport, enabling Panalpina to grow its logistics and freight forwarding business in the MENA region. Moreover, the new logistics center gives three times more room than the previous one. It features state-of-the-art infrastructure allowing the performance logistics manufacturing as well as diagnostic and repair work. All goods can be kept and handled indoors in fully air-conditioned chambers where temperatures and humidity levels can be monitored round-the-clock. A yard area of 40,000 sq. ft. was also purposely included for items that are unaffected by extreme weather.